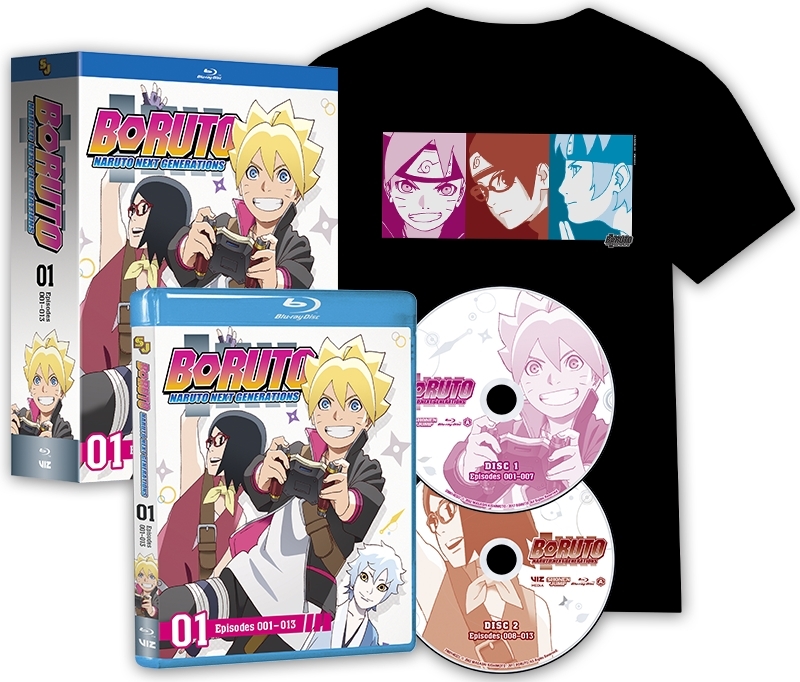 BORUTO - NARUTO NEXT GENERATIONS: Set 1 (Blu-ray) (Walmart exclusive with T-shirt) due out on 4/9/19. 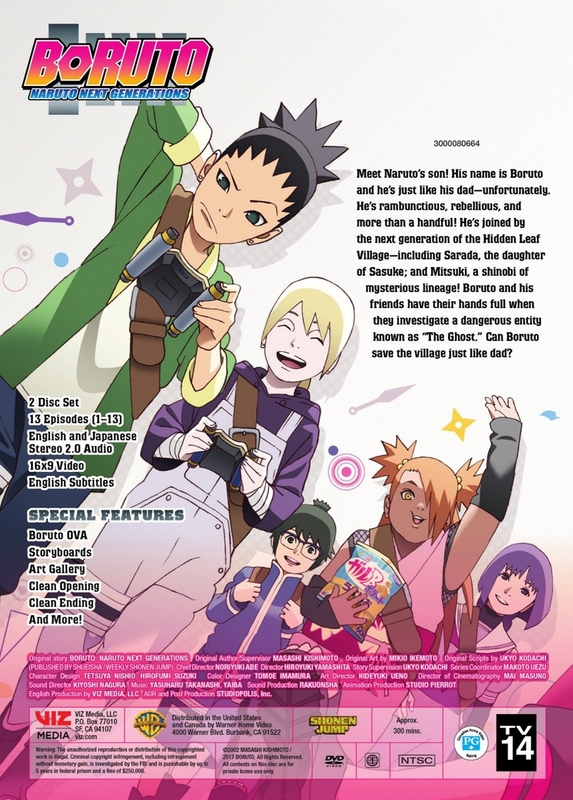 Special Features: English Cast Interview, Boruto OVA, Storyboards, Art Gallery, Clean Opening, Clean Ending, and more! 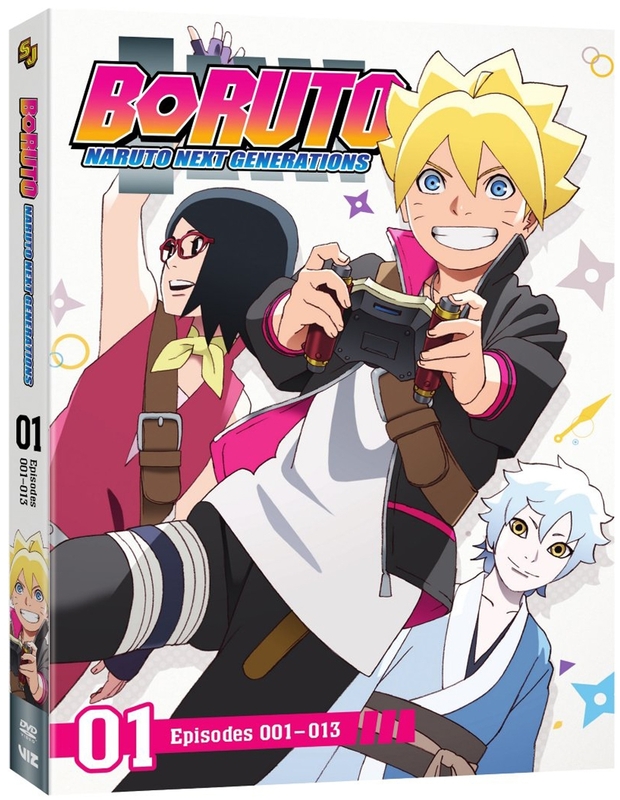 BORUTO - NARUTO NEXT GENERATIONS: Set 1 (Blu-ray) due out on 4/9/19. 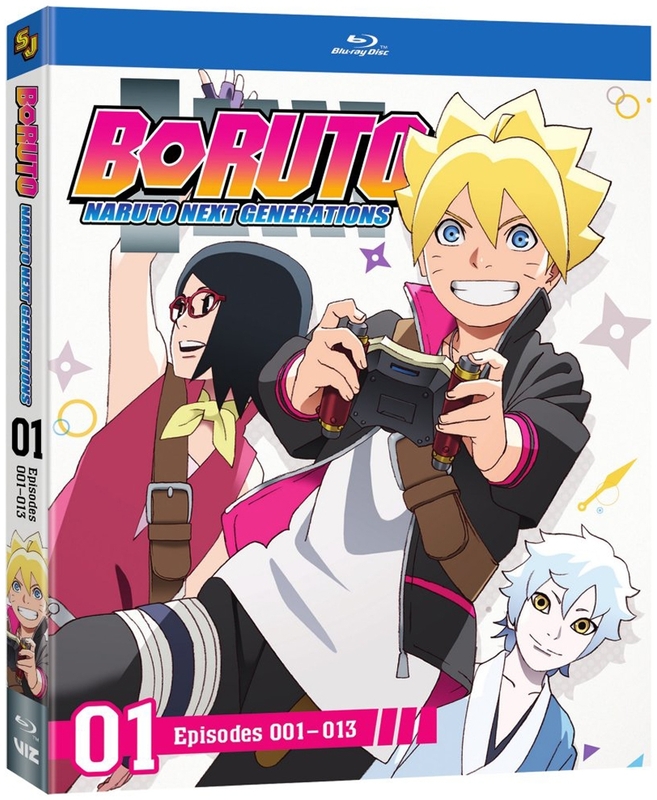 BORUTO - NARUTO NEXT GENERATIONS: Set 1 due out on 4/9/19. 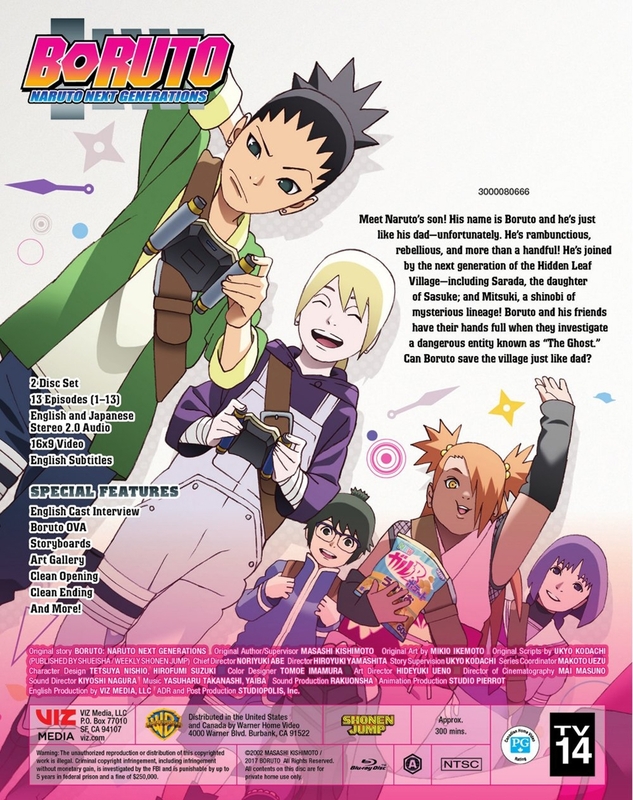 Special Features: Boruto OVA, Storyboards, Art Gallery, Clean Opening, Clean Ending, and more! Last edited by WTK; 03-19-2019, 09:55 PM. 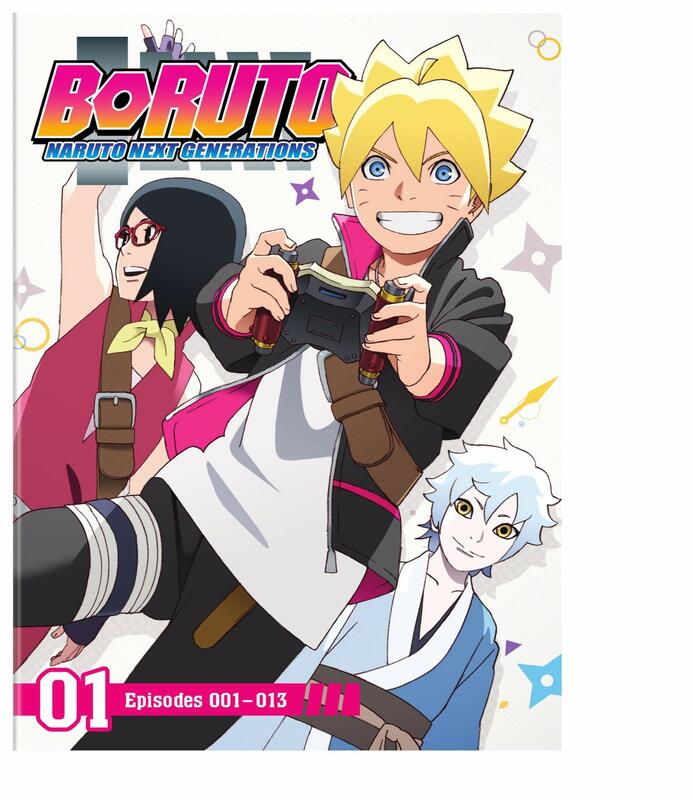 Interesting choice of cover there to start out the Boruto series with Boruto with his handheld gaming device. 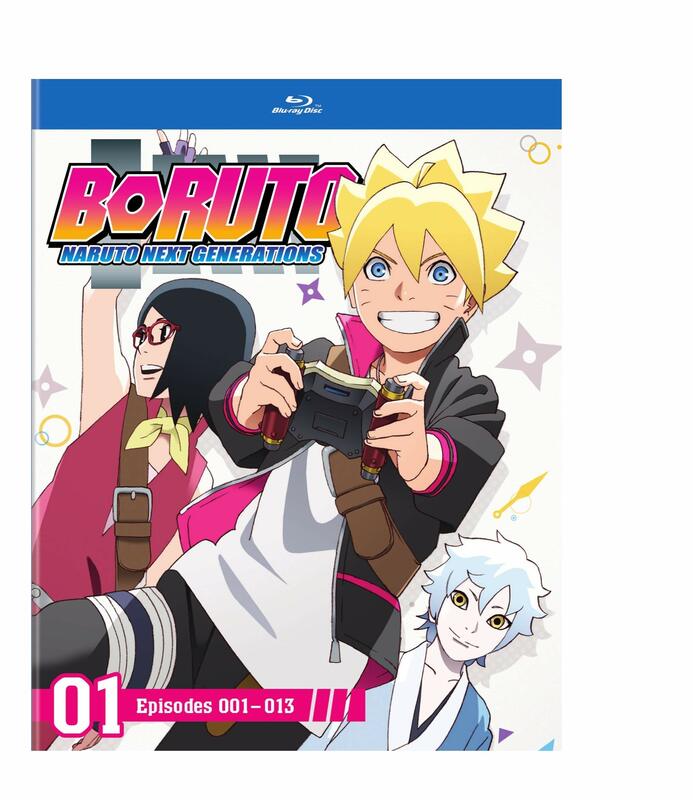 I'm surprised that this is solicited before the final Shippuden release is. Walmart exclusive cover art (with T-shirt) added to the first post.